Prophesy: If a prophet is one who speaks inerrant word of God, then this gift has stopped. On the other hand, if the prophet is a "mouthpiece" of God, in a limited sense it may apply to anyone who reads scriptures with discernment at a given time with an eye toward a particular situation. Healing: As you already mentioned, there may not be any "healers" today, but healing continues in a limited sense as you describe. I could easily imagine a series of blog posts, each describing one gift in detail with lots of scripture. It may even become a popular apologetic resource for relating to modern charismatics. Like I said, this would be very helpful for me, even though it would require some time and thoughtfulness on your part. 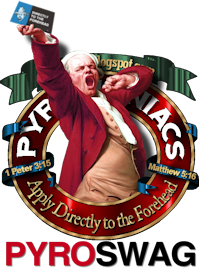 Even though I agree with much of what you say, I find the tone of many of these articles to be mocking and condescending - hardly something I can use in discussions with other charismatics. Your post reminded me of Carl FH Henry: "Not only the apostate abandonment of revelation as the basic Christian axiom in epistemology, but weak and fallacious views of divine revelation as well, needlessly obscure the truth of evangelical theism. The truth of revelation is dimmed also by an unbelief in the authority and reliability of Scripture, since this dilutes God's Word and speech"
Dan- I think you have been watching too much "Shark Week"
You know, it's posts like these that really help merejoice in the Bible. I mean, what a precious, precious gift we have. God gave us The Book; His truth; His words written down. And of course, He comes to us, through the Spirit of God, and enlightens our hearts and minds, and does fill us with His peace and joy, through His Truth. The devils in this world surely hate The Scriptures, where one small word will "fell them". BibC- Opens Bible, reads it. Knows God is speaking to him through His Word. LC2- "putting God in a box"
LC2- closes Bibles, waits to hear still small voice of God. That will leave a mark, I think. "An evil and adulterous generation seeks after a sign, and no sign will be given it except the sign of the prophet Jonah. For as Jonah was three days and three nights in the belly of the great fish, so will the Son of Man be three days and three nights in the heart of the earth." Considering it was for the preaching of Jonah that Nineveh repented and for the wisdom of Solomon that the queen of the South came to hear (both of which have been recorded for us in something we call the bible) I'm thinking this obsession with signs isn't exactly the best thing to claim. Whatever else can be said, they miss the key point of the gospel, the resurrection of Jesus Christ, and exchange it to seek after some hidden knowledge. "To the law and to the testimony! If they do not speak according to this word, it is because there is no light in them." It's not hard to understand, it's just a very dangerous belief to hold, and one that needs ridiculous comparisons like this to show it as pitiful as it truly is. It's strange to see so many people singing the praises of scripture, all the while ignoring those verses about "correcting your opponents with gentleness," (2Ti 2) and "speaking the truth in love" (Eph 4). Perhaps all of this is in jest, but I for one am grateful that God doesn't mock me on the many occasions when I'm wrong. I really think we've passed the point of witty here and are dangerously close to sinning against other Christians. Given that teachers are judged more strictly, and that many who post here are in the ministry, it's hard to imagine anyone receiving a "well done" for this type of discussion. 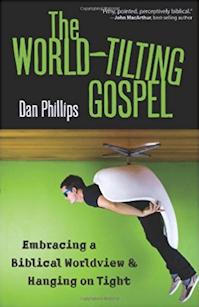 In this series of posts, Dan does exactly that re: Prophecy. You'll want to scroll to the bottom and work your way up in order to read them in sequence. This is good hearted ways of sharing the bottom line of truth. And yet, are we at the same time not as loving and gentle as we need to be? Yes. I admit I can be a bit too hard. And there are times when the hard truth is needed, and God has spoken to us in His word with hard truth, don't you admit? The bottom line is for us all to understand how the truth of God is received, and lived out in this age. If we can bring it out in any way, it is well worth it. I have Charismatic brothers in my life, and we have some friction at times. He may even say to me, "You are mocking!" I say back, "No." But, I love you brother. And hopefully we both grow in the truth and love of Christ. Nicholas, I think we got it. You don't like the tone. See? There y'go. You're on-record. You want to complain (twice so far) about the-post-that-is, and at the same time put in an order for other research projects for me. Got it. Meanwhile, it's OK if people actually interact with the actual contents of this actual post. Let them. Do something else. Have a nice day. Nicholas, Jesus and Paul both used sarcasm. If that offends you, change. Great post Dan. I was sad I was laughing because it is true. 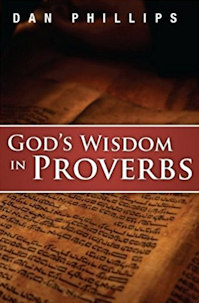 ...to say nothing of Solomon in Proverbs, a book of which I'm rather fond. Good morning. A very good work on this subject is "Charismatic Chaos" by John MacArthur, I cannot recommend it enough, please give it a read. Any perceived snarkiness has a place, for it is usually the other way around. The charismatic folk often look down upon those who “just need a filling” of the Holy Spirit i.e. the non-charismatic folk. As I read through this, I was thinking of many of the conversations I've had with guys I went to school with, many of whom have ended up on the wrong side of the isle when it comes to views of Scripture. They're not "charismatics" per se in their denomination affiliation, but you have excellently captured their attitude about their feelings over the truth. The Emergents (if they even call themselves that any more) may not bother with the labels and ideas of the inconsistent cessationists but they most certainly (maybe unknowingly) view themselves as prophets. LC2: This man has gotten 20% of his prophecies right! He has the gift of prophecy! 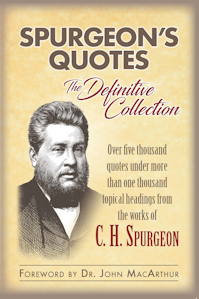 LC: God told me about x action that person y did and it was true (aka Spurgeon). Sensei: Oh, we call that "extra-ordinary providence" because to actually admit God tells people things outside of written Scripture would destroy our entire argument. Consequently, we just change the terms and tell people to move along, nothing to see here. "I can't afford thus-and-such, but I'm *believing* for God to do a miracle, so I'm going to buy it on credit because God will bring the provision. I call this having faith." I call that "blurring the line between faith and stupidity". This isn't, of course, addressing a gift, per se, but it is part of the name-it-and-claim-it, positive confession, and even includes the mistaken belief that one can have a "tremendous 'gift' of faith". LC2-Sorry, that was three separate and distinct gifts. Tom, you've been warned a number of times, and gone well past the ban-limit. Frank, that's a bit off-topic, but briefly (A) I'd probably go to Gen. 15:1-6 and Rom. 10:17 to underscore that Biblical faith is a response to a discrete word from God, (B) observe that he has no such word from God, and (C) explain the difference between faith (which he isn't exercising) and presumption (which he is). Glad you threw that last one in there, Dan. People in this missionary's remote mountain village contracted a disease which despite prayer, they were not healed of. As a result of God not granting a miraculous healing, the missionary had to carry them in his arms, one by one down the mountain to receive medical help. All the time of course, he's wondering "why no healings?" When he gets back from doing this difficult task, the local Buddhist monks asked him about Jesus, because they said they would never have done something that difficult for their people! So in this case, God used a lack of miracles to demonstrate his love, rather than a miracle of healing. Good thing in this case that this particular missionary didn't have the "gift" of healing, or he would have totally fouled up God's plan to display something even greater - love - to the Buddhists! 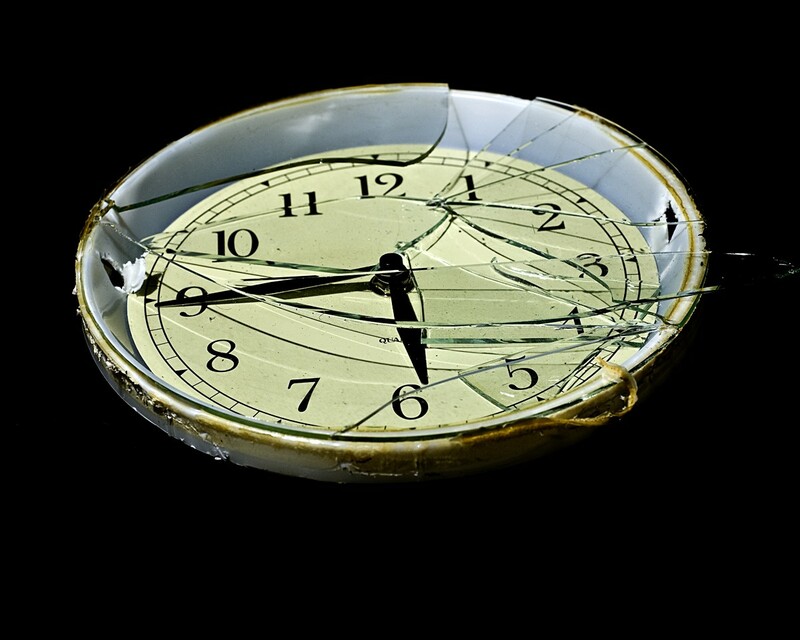 The one kind of anecdote is used to try to paper over nearly TWO THOUSAND YEARS that attest that the Biblical prophecy that revelatory gifts would cease has been fulfilled, and is used to try to get people running discontentedly in desperate and distracted pursuit of such always-just-around-the-corner occurrences. The other (yours) illustrates at least what might happen if one actually does what Scripture actually says to do: show Christ's kind of sacrificial love in His name. BibC: The bible clearly states X about Y.
BibC: Culmination of millennia of revelation in a completed, wholly sufficient and closed Canon. I want to object at this point to this post being on-track to have a comment thread longer than the one under my offering into the genre of "letters to my gay son." Oh oh oh, Jules, particularly that last one. Good point. Some form of that must go on the list. In fact, I'm go... nah, I'll resist re-editing, and put it on the next. BibC: Giving God's Word the place the Holy Spirit says it should be given in the believer's thinking and living. Frank, your protest and the counter-protests it draws will certainly push this thread over the edge. In spite of my efforts, as you know, Frank. I've touted that one all over the place up to this very day. You're probably half-kidding, but since it's you I'll just take this opportunity to say it's a sad testimony to the disservice some elitist bloggers do to their readers, because of their apparent decision to blacklist this blog. Out of apparent spite, they keep some great stuff from doing the good it otherwise should — and yours is a stellar piece. Jules, that's just it. I think that folks who would object too strenuously to the "tone" of this post just haven't really tried to help Charismatics. Look, I really truly believe the Bible's witness that there isn't just one way to respond to error. There's ridicule and mockery and warning and scorn — those are absolutely directly Biblical methods. And there's patient and gracious and long-suffering repeated explanations. My observation is that an OVER-abundance of the latter has led to an OVER-prevalence of this harmful approach to faith and life. It's been allowed a respectability that it does not deserve, and that is harmful. I'm gathering that John MacArthur is feeling similarly, and thus is coming out with a brand-new attempt. 1. We've had some terrific additions... and Trogdor hasn't even dropped by yet! 2. I'm working on a Hither and Thither for my place this Friday. So, you know... life is good! BibC: God warned me about dreamers (people telling people about revelation from dreams/visions) coming to tear the Church apart in the Epistle of Jude." LC2: "That's just your interpretation. The truth is that it is just talking about people like John Lennon (You may say I'm a dreamer, but I'm not the only one)." As long as there is H&T on Friday, I can live to fight another day. Maybe there is a charismatic out there that claims to” heal” gay sons. Both threads could greatly benefit (for those (im)possibly offended, this was an obvious tongue in cheek post). Tom, I know a little about Spurgeon (having read about 50,000 pages worth), and I suppose I would have to say, since when do we base our theology strictly on Spurgeon? He also believed in the Gap Theory, that other planets were inhabited by aliens (repeated several times) and in some places believed Christ's blood was transported to Heaven and in another place believed it was left on Earth. You are correct in saying that he occasionally spoke directly to someone in a scenario that indicated something had been revealed to him, but so what? The fact that it was an exception doesn't prove what the charismatics say is now the rule. I would say God uniquely used the man in ways He doesn't use most of us today. God also appeared to Solomon twice in dreams, but again, so what? And I think if Spurgeon knew that what he related would be used as a "proof" of prophecy and the wild fire that is in vogue today, he would never have related it. I'm glad of the inclusion of the last one. Too often "we" get accused of denying miraculous healing, reported by credible sources. It's vital to help people see the distinction. BibC: Telling a guy with a vague, indefineable ache that he ought to feel better. LC2: The precise equivelant of Jesus healing lepers. LC2: The Barney Fife of New Testament Prophets - you gotta respect the badge even though he rarely got anything right. P.S. - Dan, quit doing the fun topics on Tuesdays when I can rarely get to a computer! LCC - Benny Hinn is a slightly eccentric brother leading Heaven to Earth. Calvinists think that God can save the heathen quite without anyone's help. Reading through the list, I'm curious where Hudson Taylor would fit into this mold, when he stated hearing God direct him to "go for me to China." 'Feeling'? 'Hunch'? Or 'silly passing thought'? Considering how God used Hudson in such an epic way, I'm curious which of the LC2's would fit him. I'd vote for "Matthew 28:19-20". BibC: I'm just shaking my head listening to a nutjob pastor from a northwestern state who thinks he can "see" the video sins of various people he's counseling. LC2: Now there's an anointed guy we'd better be listening to more of! One of the things about this blog is that usually the rest of us writing here can see a post or a series of posts coming from the normal course of stuff happening to the other(s) writing here, and we can be prepared to batten down the hatches or whatever. These current posts are coming out of nowhere. And I love it. Is your middle name Nicholas per chance? Tongue in cheek v2. "BibC: Walking in gracious, faith-driven obedience, which definitionally and consciously rests on the written Word alone. BibC: "Rightly dividing the Word of truth"
BibC: Wasting time by babbling gibberish into the microphone. BibC: Why don't you read the Bible and follow Scripture as your authority instead of looking for signs? LC2: I'm too busy doing something like ministry! LC2: God has shown me that He wants me to leave my spouse and children and marry another person. I just feels right. BibC: The Bible says that God hates divorce and only allows for it because of infidelity or abandonment by an unbelieving spouse. As an ex-Charismatic, I can attest to Dan's accuracy...as well as others of you. Thanks for reminding me why I found it so incompatible with the Word of God. Oh no; he's a menace, and must be proliferated. Wow, DJP with the hat trick. Sorry that it's been so bad today. It is quite amazing to me because you are so gracious to the commenters and it is taken for granted and quite unappreciated how much you put up with. BibC - "But Scripture says..."
LC2 - "The letter kills but the Spirit gives life!" BibC - "Why are you looking for additional words from God when you haven't even finished reading your Bible?" Lockheed, thanks; that first was actually the focus of NEXT! #15. BibC: The Bible says that's not true. LCC: But I know that I know! Hudson Taylor was an incredible evangelist of our Lord. He said: "We are not even to come just to the Word of God: rather, we are to go through that Word to the person of the Lord Jesus Himself." I believe we can all learn from him. And yet, he was just a human like us all, and capable of error. Evene the Apostle Peter fell into error. We need to remember this most of all. I think Hudson would agree. That's my two cents worth on Hudson Taylor. Did you grow up in Calvary Chapel? No, APM; I attended CC Saturday night concerts in the early/mid seventies after I was saved, and some CC meetings over the years, but never have been a regular. Ahh. Its like you know all the leaky secrets. Some of your parings were quotes from actual conversations I've had. I've always suspected you were a spy. LOL. Well, you didn't ask if I'd attended Charismatic meetings and/or churches, and that I have. LCC4: I have examined the evidence carefully, thought about it, sought consel, and decided on the best course of action. Ha! Just kidding! No really, God told me. LCC: TOUCH NOT THE LORD'S ANOINTED!!1! BC: Ha! Good one! Wait... wah? You - you're serious? You're actually serious?! I just don't know what to say, except "Lord, have mercy!" Rho: there's a Hitler Rants video about that, isn't there? there's a Hitler Rants video about that, isn't there? Probably, though I believe this statement is true of virtually any topic in the universe. I would be laughing out loud at Trogdor's additions...if they weren't 100% accurate. DJP and Frank, this stuff is so good you simply must cut and paste it all together into a brief systematic theology for charismatics. We'll call it "God told us to do this!" LC2: God must be telling me something! BibC: Sometimes I get sinful impulses to completely interrupt a service for my own vain glory. LC2: "Thus saith the Lord:"
BibC: I don't care for that "worship" song. LC2: There has to be something demonic in this song. God must be dealing with some hidden sin in my life. Striking, humbling, terrifying, and a verse that always draws me back to drink from the deep well that is God's true Word. God will fulfill His Word, not "their" word. BibC: A clear and unequivocal statement of differences between a world view based on the bible and one that elevates human feelings above clear scriptural revelation, which also happens to use humor to expose the folly of the latter mindset. LC2: A reckless display of uncharitable divisiveness, devoid of gentleness and respect. And for clarity's sake, there's more than one Joel. This one isn't banned. At least not yet, and that will probably be for a joke that draws more than the usual groans. Lc2-You are an "accuser of the bretheren"
BibC-"Have I now become your enemy by telling you the truth"
BibC-People like Benny Hinn are false prophets because he's made prophecies that have not come to pass. So according to Deut.18:22 "If what a prophet proclaims in the name of the LORD does not take place or come true, that is a message the LORD has not spoken. That prophet has spoken presumptuously. Do not be afraid of him." Lc2-The Bible says, 'Touch not Mine anointed, and do My prophets no harm' (Ps. 105:15). LC2-"Jesus said if you have faith as small as a mustard seed"
BibC-1Ti 4:16 Watch your life and doctrine closely. This is the worst treatment of this topic I've ever seen. The level of judgment is vile (but you have already armored yourself against "tone" arguments, I know...). BibC: So let's apply a little Biblically-accurate satire to this harmful teaching, making sure each point is a carefully-chosen direct hit. LC2: Worst treatment of this topic I've ever seen! Vilely judgmental! Great post here, Dan. Your posts on Sola Scriptura are always excellent. Your next book project should be on Sola Scriptura, addressing things like Da Gifts, God's will, etc. @sean patrick: Do you have a blog where we can go and see how this topic should have been treated? Your profile is not shared publicly, so we can't get your side of things. FWIW, a one-time prophecy occurred ≠ the gift of prophecy is still being given. 5 solas — that is a topic much on my heart. It'd be a good and challenging topic: how a robust doctrine of sola scriptura should have impact on thought, life, preaching and teaching. Anyone who ever wants to see another book by me, however, could help by bringing my first two books to the attention of high-visibility opinion-forming leaders. I'm still laughing! What a great use of humor to make many points. My sister actually experienced a charismatic pastor tell her she'd better watch out (when she questioned one of his non-Scriptural views) lest in so doing she'd "touch the apple of God's eye" (meaning himself). I was baptized Assemblies of God in 1992, but now a Reformed believer and self-described "recovering Pentecostal" (a phase I use oft to "out" the hidden charismaniancs that might be present in a conversation). So let me assure you that you all have NOT gone too far in this satire. In fact, much of it is sadly accurate. Full blown Pentecostalism is little more than neo-Gnostic superstitionism peppered with enough verses to dupe the masses. Much of the reason Pentecostalism is now mainstream is precisely because it has an entire language around which to wrap its deceptive teachings. I get addled when I hear these same phrases uttered thoughtlessly as normal Christian language. I tried to laugh at this post, but, from my experience, it's sadly true. Anyone upset at this probably doth protesteth too much! Check the update at the bottom of the post. Chris Rosebrough of Pirate Christian Radio had a lot of very creative, hysterical fun with this. Yeah, but if it's 5:45, it's 5:45. All good satire has more than an element of truth to it. As a holder to the doctrines of grace fellowshipping in charismatic circles (long story, don't ask please lol) this is almost an exact picture of my Sunday mornings. I tweeted something along the lines of “that awkward moment when you quote scripture instead of a vision at a Pentecostal mens meeting” after a “bible” study that studied everything but the bible a few months ago, as a level of my disgust and frustrations with how the wolves are consuming the flock. There's a time for patient, loving discourse and a time for the iron fist in a velvet glove. I pray we are able to know the time for either one. I'm in the same boat as Santo and 'Unknown' - I was pulled into a Charismatic Church at the young impressionable age of 21, now 16 years later I've finally reformed, discovering the 5 solas, the reformation, true church history, etc. None of this has been taught in our church, and as much as I long to leave to find another, there is none locally. LC2: God is doing a new thing, we don't need all that church history. BibC: So, you'd reject the book of Acts too? BibC: Going into churches and asking people to donate money to you as you go around "taking the world for Jesus!!!". LC2: Living by faith and being ruined for the ordinary (so long as the ordinary people give me their money). Also, see YWAM and similar organizations. BibC: Mindlessly singing the same songs over and over while jerking and twitching. LC2: Being raw and real in worship, unlike you liturgical folk who sing songs that require actual thought. "I would be laughing out loud at Trogdor's additions...if they weren't 100% accurate." LC2: God must be telling me something!" Yeah... seriously. I remember a pastor telling this story about ants around his house (in Texas! We have ants!) and ending the story with, "What is God trying to tell me through these ants?"